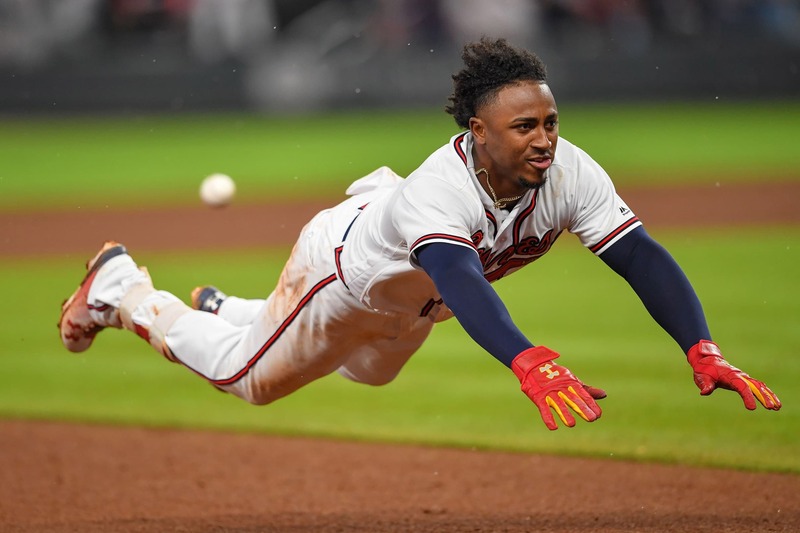 Over a hundred contracts have been signed across MLB this year, but the freshly signed contract extension by Atlanta Braves second baseman Ozzie Albies is already being called the worst ever. According to ESPN’s Jeff Passan, agents, executives and players from across the league are already expressing their displeasure and disgust for the new nine-year, $45M deal the 22-year-old agreed to on Thursday. Albies, who posted a .757 OPS with a 3.8 WAR in just his second MLB season, will make $35 million total over the first seven years of his deal before Atlanta can exercise two club options for $10M total, according to MLB Network’s Jon Heyman. Based on the team options, Albies’ $5M AAV would rank 16th among yearly salaries for second basemen. Atlanta’s front office has to be feeling ecstatic after locking up Albies and Ronald Acuña Jr. for the next eight-plus seasons on very team-friendly deals. Meanwhile, this will further hurt the market for Albies’ peers looking to land larger deals in the future.